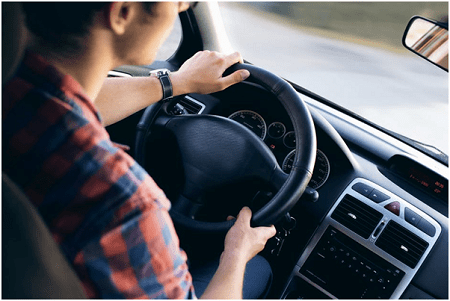 Why do you Need a Vehicle Log Book? Every new vehicle you buy will come with a log book, outlining specifications and recommendations from the car manufacturer for car services at regular intervals. Authorised service centres are able to carry out a log book servicing and use the log book as a record of services performed. Whether you’re buying or selling a car, or your vehicle is just in need of in inspection, a complete log book history is evidence of a well-maintained car and is a great way to stabilise or uphold vehicle re-sale value. As long as genuine parts are used, regular log book services don’t affect your car’s warranty. Routine checks keep your car running safely and efficiently, lower running costs and keep log books up-to-date, ensuring complete confidence during car sales transactions. Who can Stamp your Log Book? Many people are under the impression that they can only have their log book stamped by going to a car dealership. This isn’t true and it’s actually easier than you may think to book a log book service in Melbourne. The ACCC have confirmed that the Australian law allows you to have your car log book service carried out by the mechanic or service station of your choice. The mechanic you choose must have the necessary log book qualifications and must meet all the essential requirements. Western Auto is an authorised car service station in Melbourne that can carry out log book services. A stamp from us will not affect your manufacturer’s warranty and by verifying service records in your book, you will maintain the value of your vehicle and prove it is fit for the road. Maintain your car warranty and receive personal, high-quality service when you opt for a car log book service from Western Auto. We offer a great price and our car technicians have years of experience in the field. We make sure our mechanics are trained up-to-date with modern technologies. We use only quality parts and oil to ensure we meet or exceed the manufacturers’ specifications for your vehicle. Avoid high prices at car dealerships and receive a local log book service, Melbourne. Fill out our online form or give us a call on 03 9314 6522 for a fast, free quote!